Let’s be honest: Residential plumbing is complicated. There are so many parts and pieces and so many things that can go wrong, it’s hard to keep it all straight. While many jobs require the expertise of a professional plumber to fix, savvy homeowners (and even renters too) should know what to keep an eye on in order to prevent a small hassle from turning into a huge headache. These plumbing tips will save you time and headaches. Frozen pipes are a huge source of stress for homeowners because when one bursts, your basement can flood quickly and dealing with water damage is incredibly expensive and complex. To prevent this from happening in the first place, wrap any exterior pipes as soon as the temperature begins to approach freezing and don’t unwrap them until the danger of frost has passed. If you’ll be away for more than a day, it’s a good idea to keep a tap open to a slow drip in order to prevent the water from freezing. One of the trickiest parts about plumbing is that so much of it happens behind the walls and it’s hard to know whether there is a problem. Luckily, quite a few pipes are visible so keep an eye on those as much as possible. 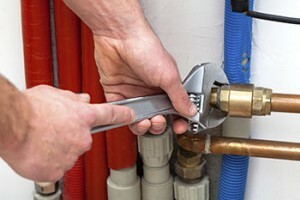 If you see any leaks, rust, or buckling of visible pipes, call your Maryland plumber immediately. As soon as temperatures begin to drop, unhook your hose and turn off your water supply to any and all outdoor spigots. This will help prevent frozen and burst pipes. If your water heater springs a leak, there is no cure and it needs to be replaced immediately. Inspect your heater at least once a year to ensure it’s still working properly. This entry was posted on Friday, February 5th, 2016 at 1:44 pm. Both comments and pings are currently closed.